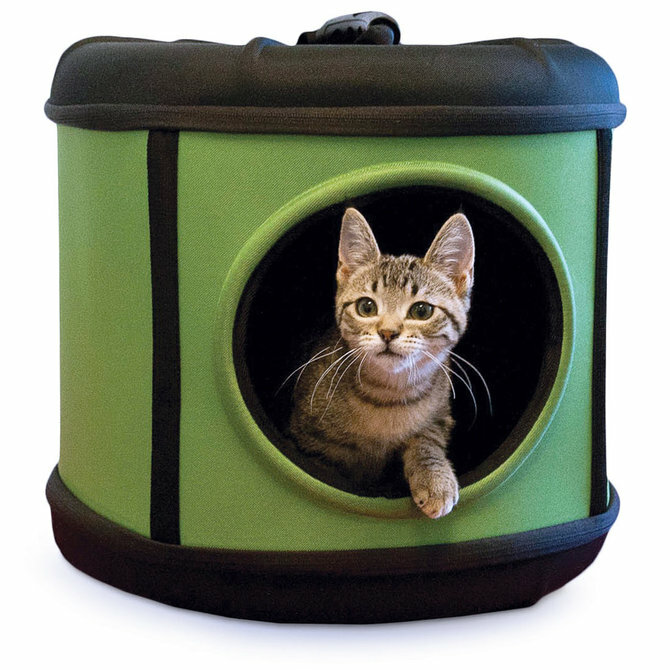 Being a pet bed, a playhouse, and a pet carrier makes the Mod Capsule a great value that every cat owner will love! It simply zips together for easy assembly. The mesh door is completely removable for use as a sleeper. Zip the door back on for use as a transport carrier for trips to and from the vet. Includes comfortable poly-fill pillow.